Prayer is something that every Christian knows they need to do, but very few Christians feel like they have a successful prayer life. There are many reasons for that. 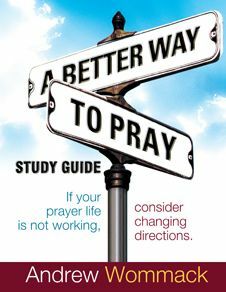 It may surprise you to find that one of the big reasons believers struggle with prayer is because of all the wrong teaching they've received about it. 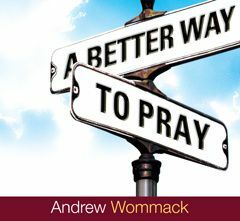 In this series, Andrew counters many modern religious traditions about prayer and establishes a foundation upon which a rewarding and effective prayer life can be built upon. Before Jesus taught what prayer was, He taught what prayer was not. He made the startling statement that hypocrites love to pray (Mt. 6:5). Therefore, prayer in itself doesn't guarantee spiritual maturity. There are right and wrong ways to pray. 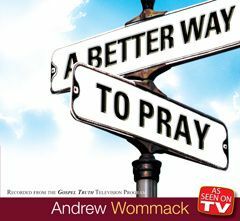 This teaching will dispel many of the religious notions about prayer that have crept into most people's thinking on prayer. This teaching deals with spiritual warfare and intercession. Andrew exposes many abuses in this area and shows the New Testament method of intercession. Those who try to intercede the way Moses and Abraham did are voiding the intercession of Jesus and making themselves mediators. Jesus is now the only mediator between God and man and anyone attempting to fill Christ's place is against Christ. 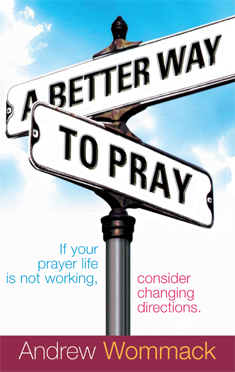 Prayer serves many purposes, but we must keep the main thing the main thing. The number one purpose of prayer is communion with God. Adam and Eve had communion with God each day before they had sins to confess, needs to believe for, demons to cast out, or people to intercede for. If you were to remove those things from your prayer life, how much prayer would you have left? After the miraculous death of the fig tree that Jesus cursed, Jesus taught His disciples how He did it. Of course, faith was involved, but Jesus emphasized that this faith had to be spoken. And it's important who and what we speak our faith to. Jesus didn't tell us to tell God about our problem but He told us to tell our problem about God. One of the most beneficial laws of faith that you will ever learn is about speaking directly to your problem. 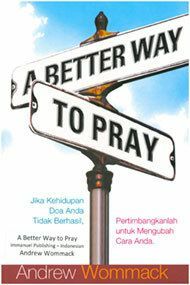 Most people assume that if the Lord had answered our prayer, then there would be instantaneous results. They suppose that there is no such thing as time or distance in the spiritual realm. 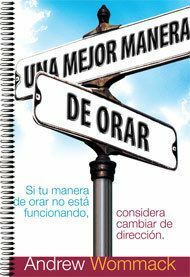 But once God moves in the spiritual realm, there is a process that has to occur before we see it manifest in the physical world. Failure to understand this will cause our faith to fail because we think God hasn't done anything. In this teaching Andrew gives scriptural examples of where God moved instantly but it took a period of time for what He had commanded to come to pass in the physical.